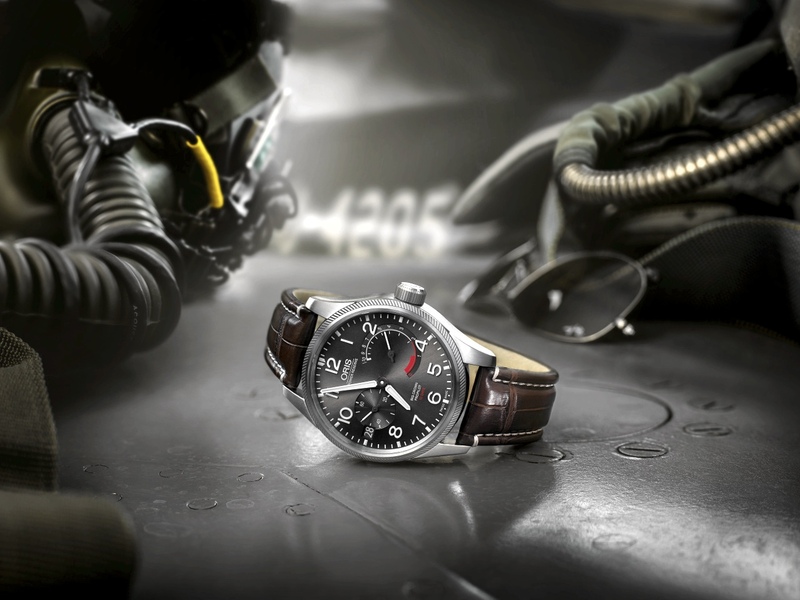 Today, Oris introduces a new pilot’s watch powered by their in-house developed Calibre 111. 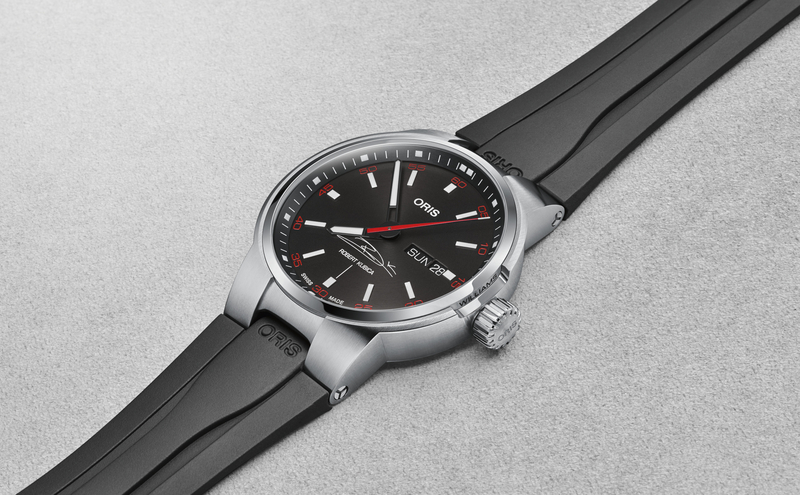 In 2014, Oris launched the Calibre 110, and followed up by adding a date function earlier this year at Baselworld, and calling it the Calibre 111. 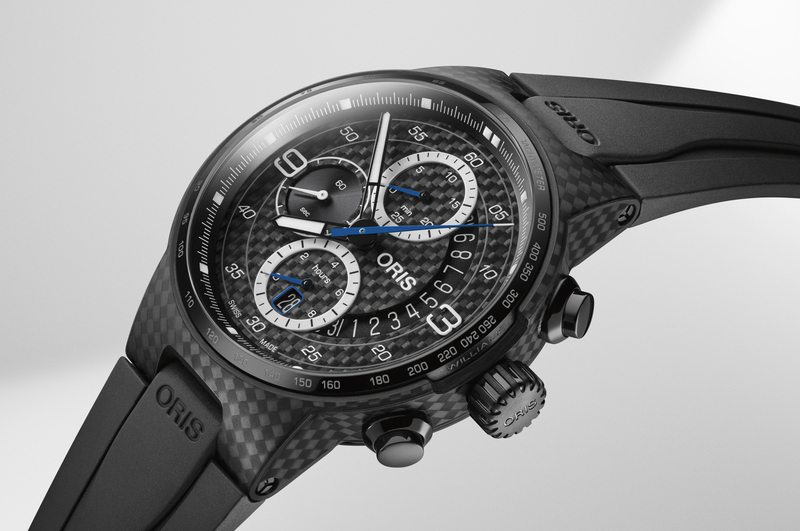 This is the second watch to receive the manufacture movement, and likely not the last. A satin-finished stainless steel case measuring 44 mm in diameter houses the hand-wound 3Hz Swiss movement which boasts a 10-day power reserve and a dial side reserve indicator. 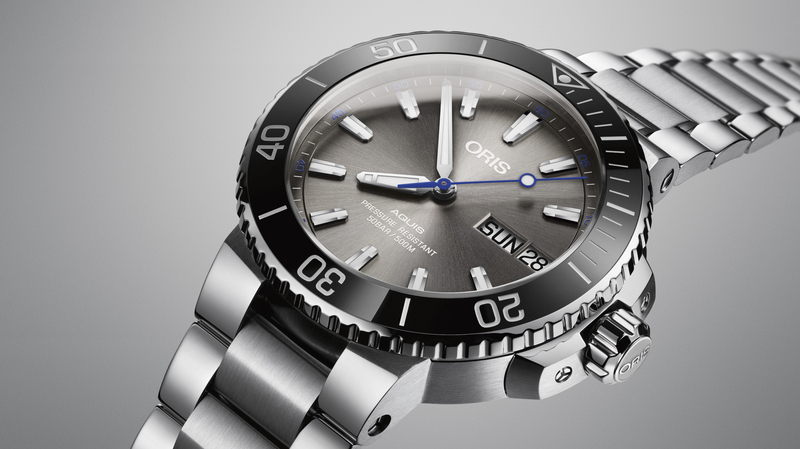 The sapphire crystal has a double interior anti-glare treatment and is topped with a fixed diagonal coin-edge bezel, which Oris says is, “inspired by jet engine turbines.” Further, the power reserve indicator (at three o’clock) is aptly designed to look like an airplane fuel gauge. The dial features a “smooth anthracite” finish and applied Arabic numerals coated with white luminous material. The lance-shaped hour and minute hands are also treated with white lume. A clear caseback offers a view of the components that make up the manufacture movement, including the large mainspring power barrel, balance assembly and three-quarter plate bridges. Front and rear seals, as well as a screw-in stainless steel crown protect the case from water down to to 100 meters. The Big Crown ProPilot Calibre 111 is fitted with a genuine Louisiana crocodile leather strap, olive textile strap or stainless steel bracelet. (Ref. 111 7711 4163) Retail price is approx. $5600 (5200 CHF).